In 1905 Roslyn photographer William Pickering captured the #7 Locomobile passing Krug's Hotel on Jericho Turnpike in Mineola. The Locomobile's third place finish in the race was the first time an American car had ever placed in an international competition. Tim Helck, the grandson of Peter Helck, brought back memories of this famous Vanderbilt Cup racer with a recent email. 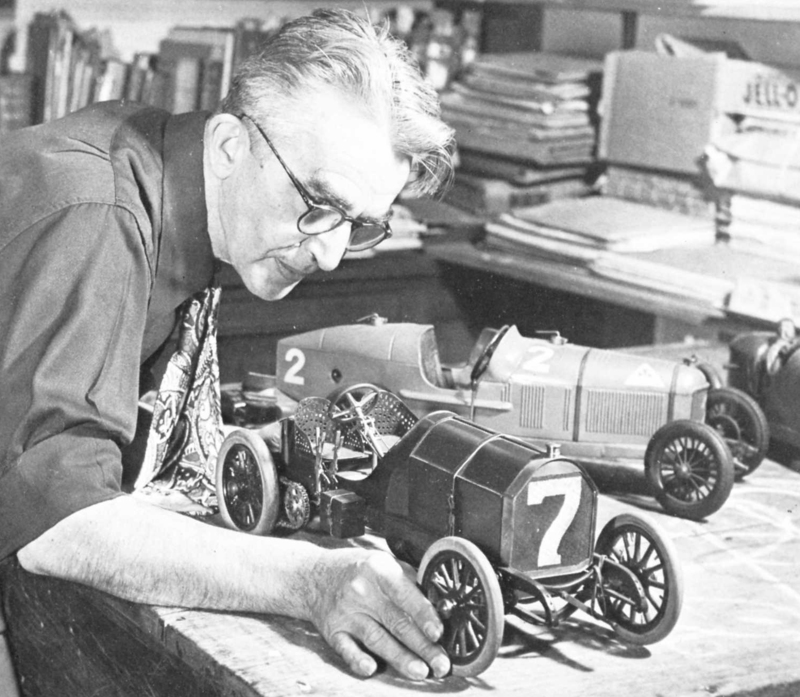 Tim Helck: "One of my grandfather's neighbors made a very beautiful model of the 1905 Locomobile race car. I'm attaching a picture of it and my grandfather for your readers". Wow, spectacular models. Who is that guy? He’s worth a magazine article.